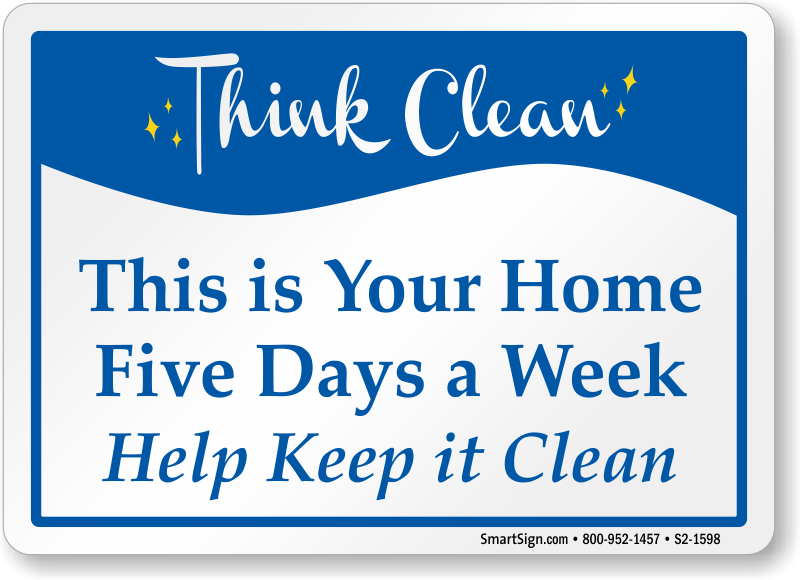 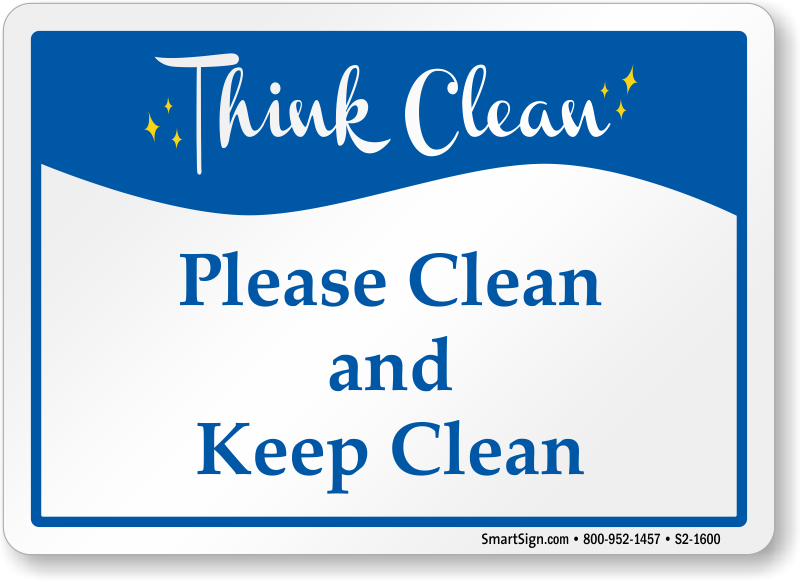 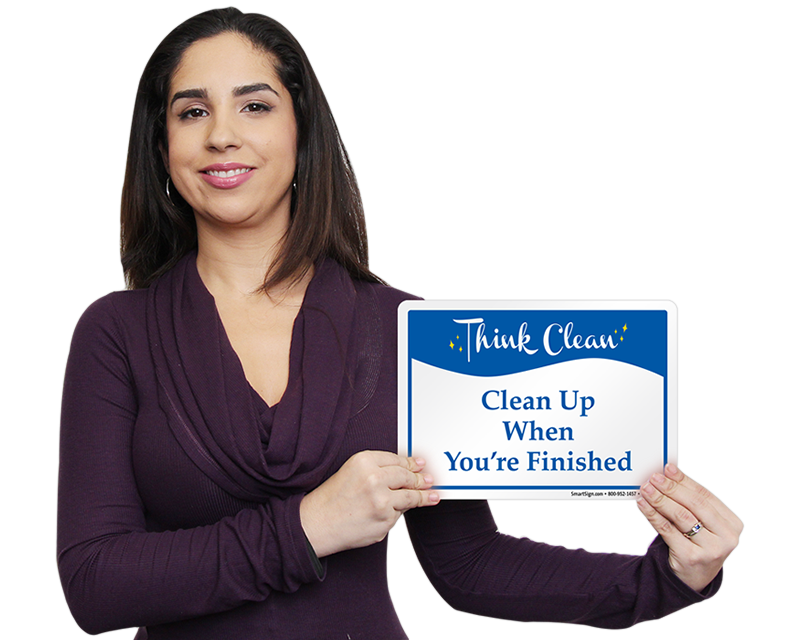 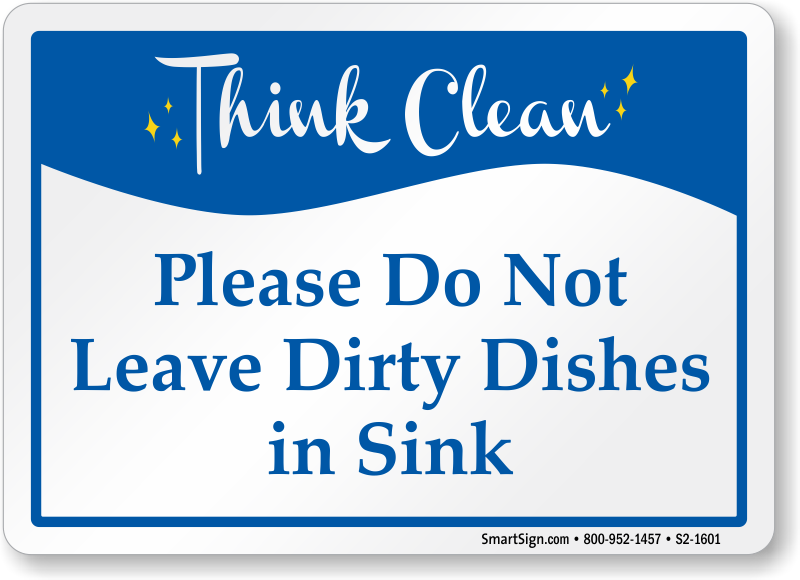 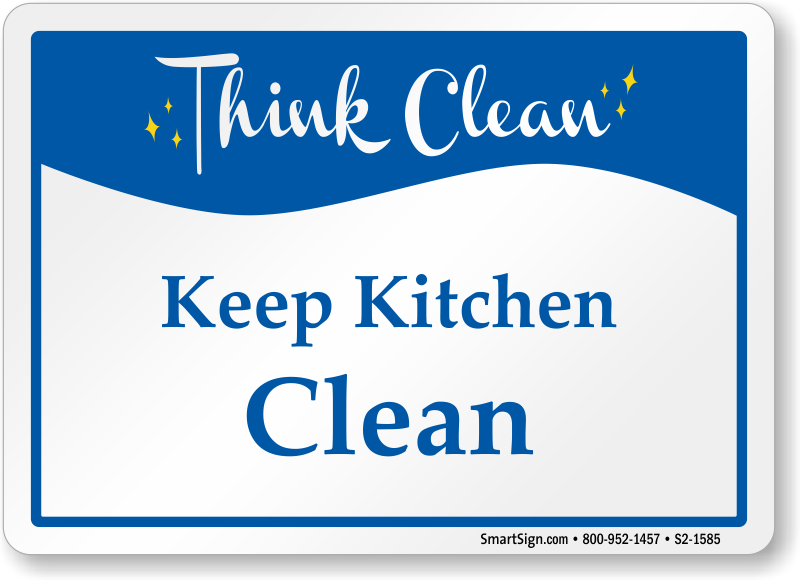 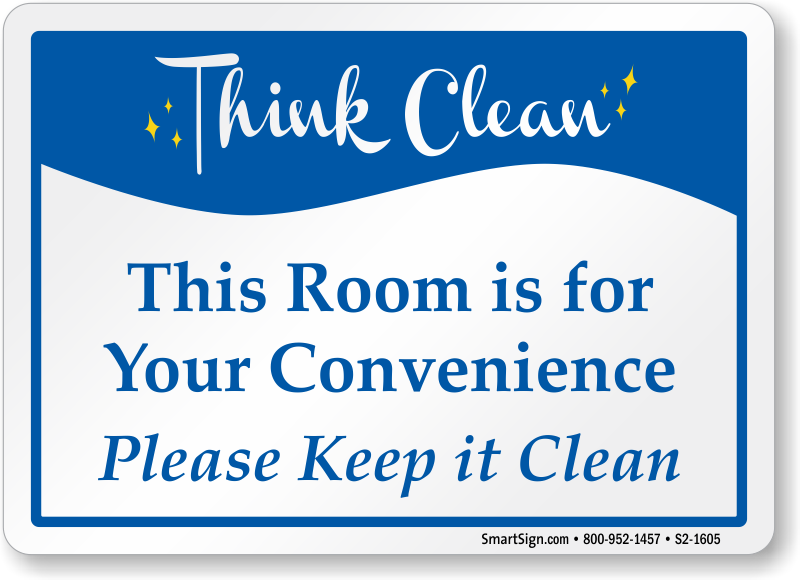 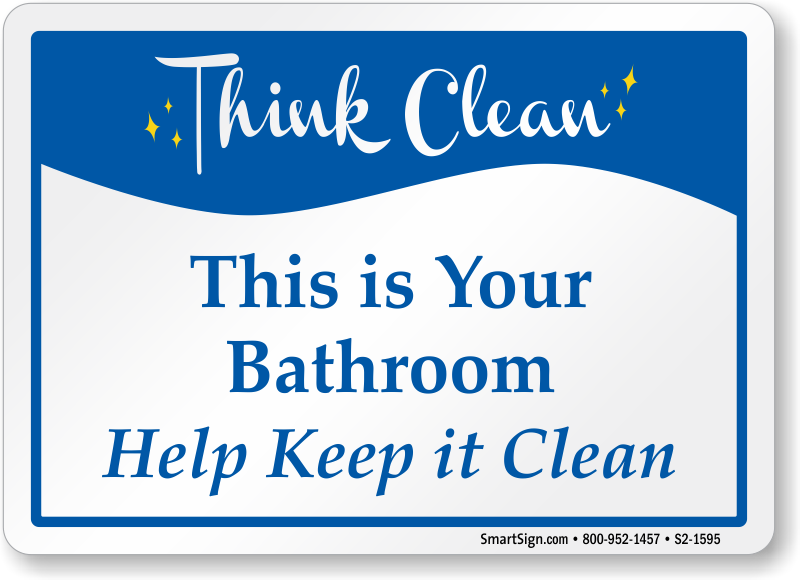 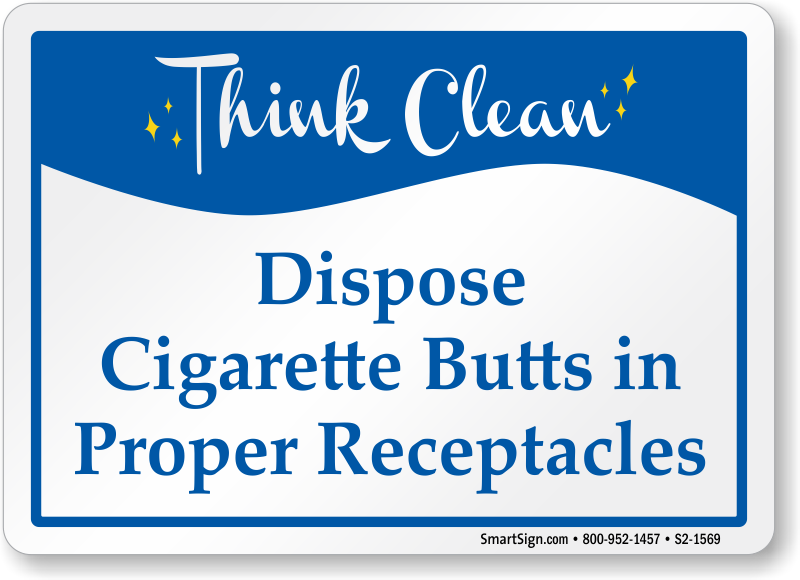 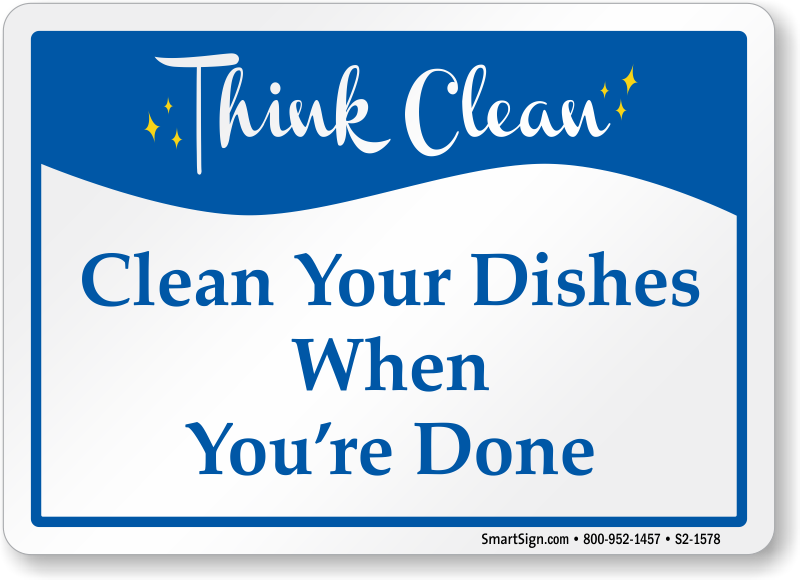 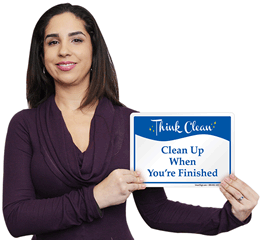 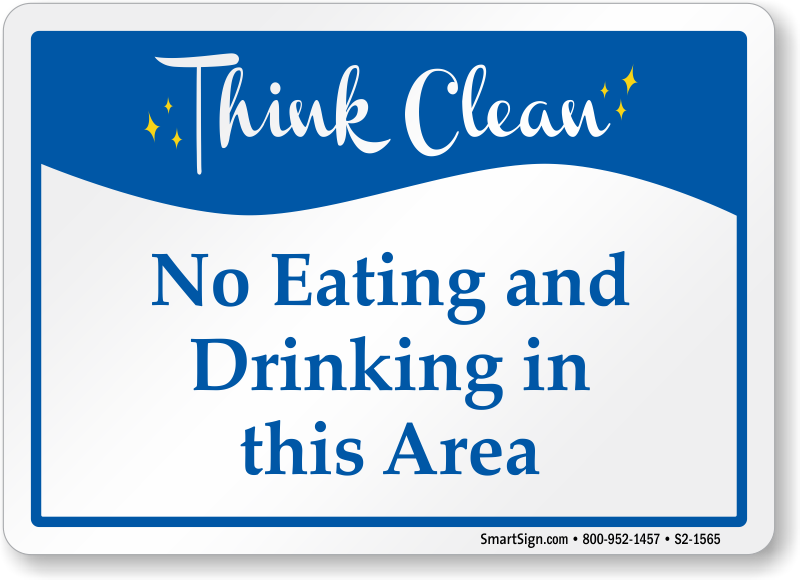 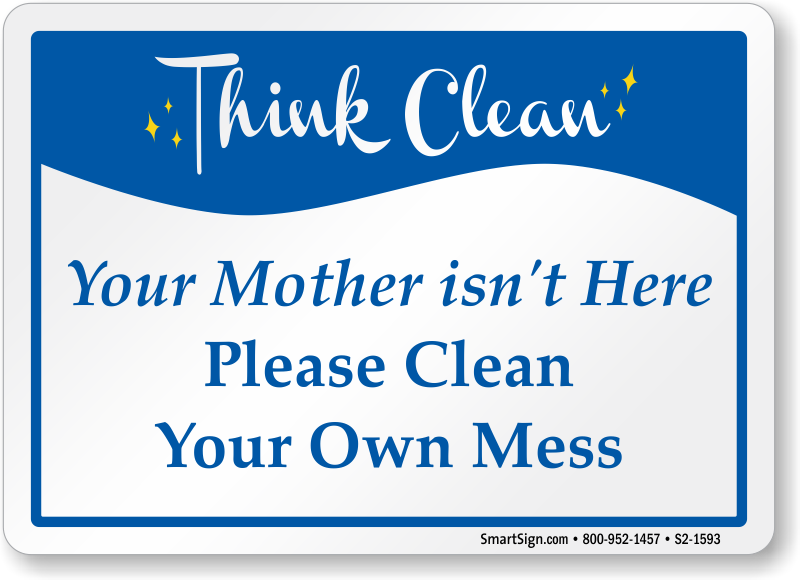 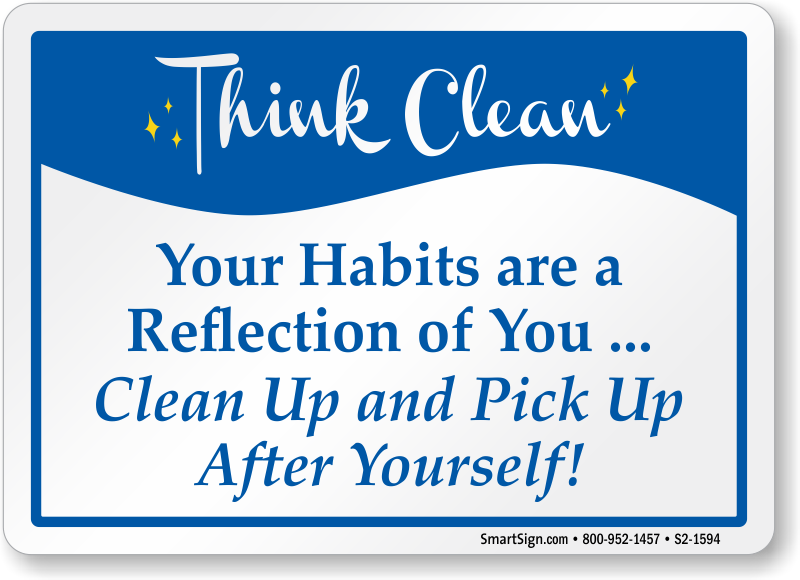 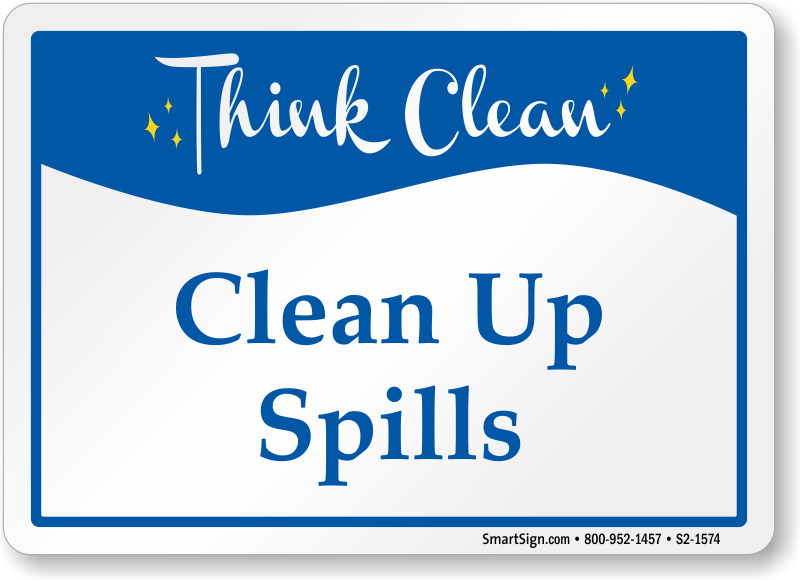 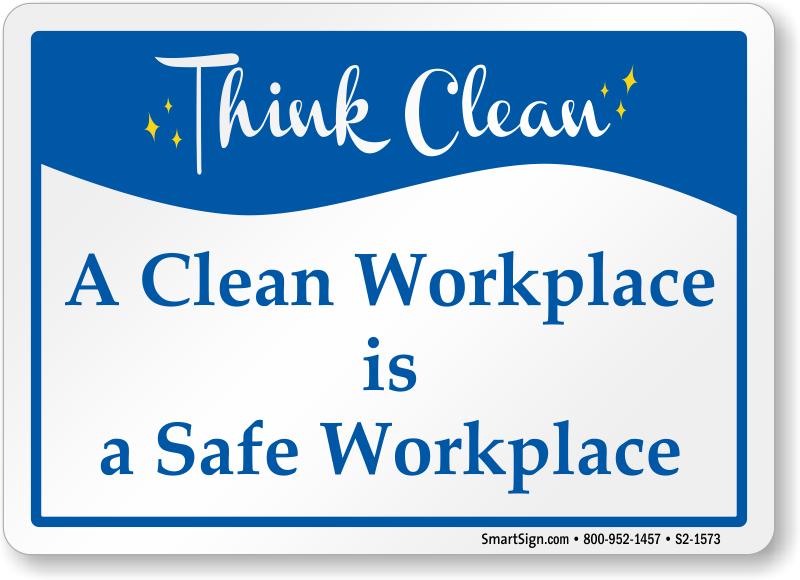 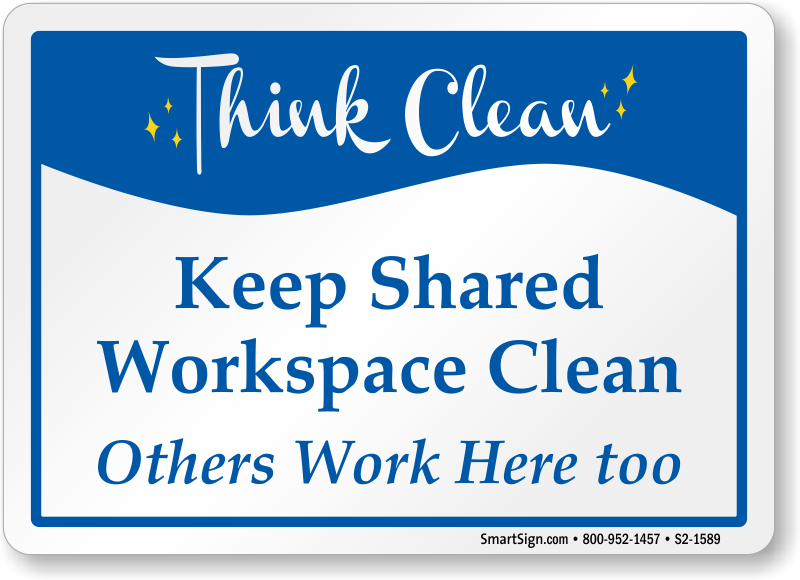 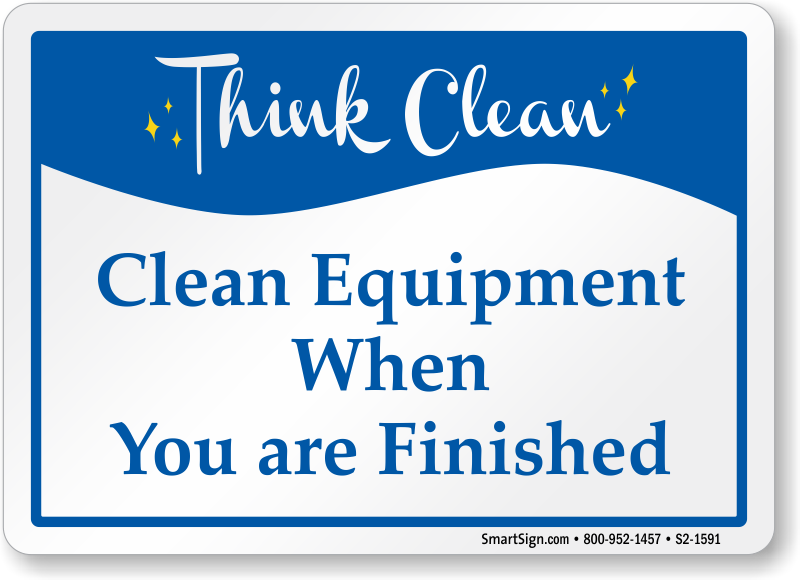 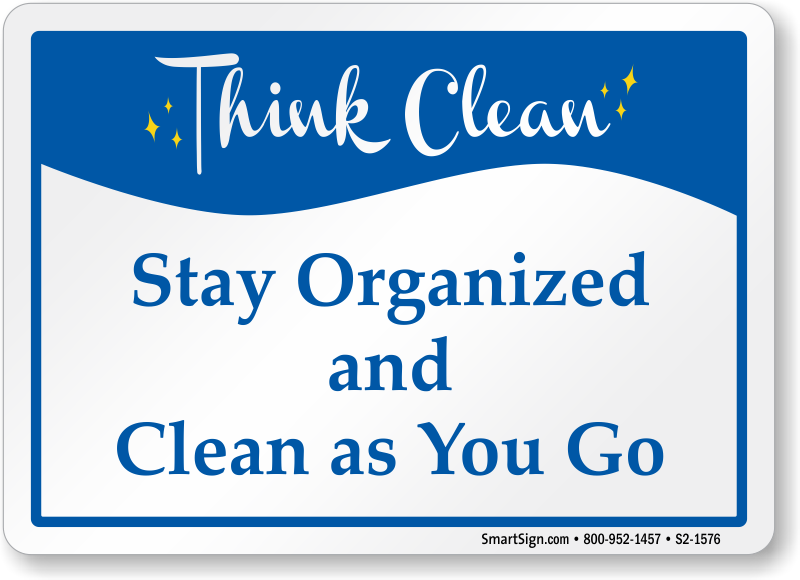 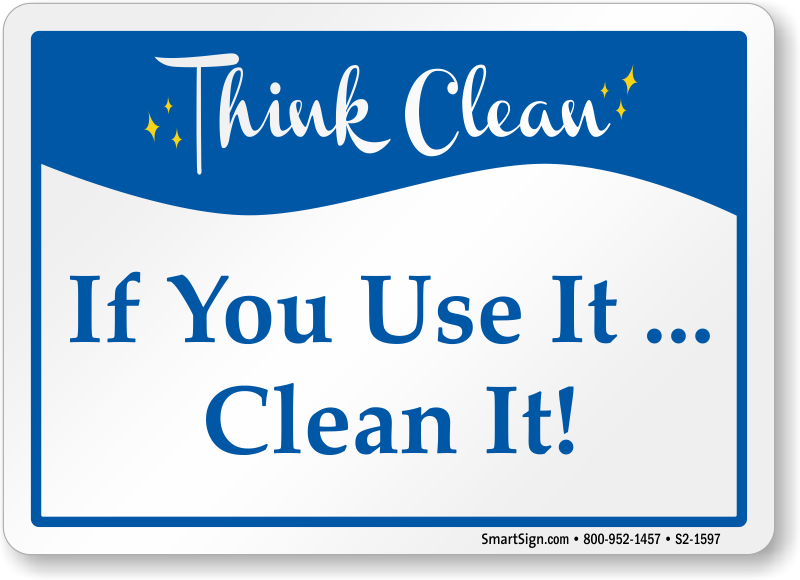 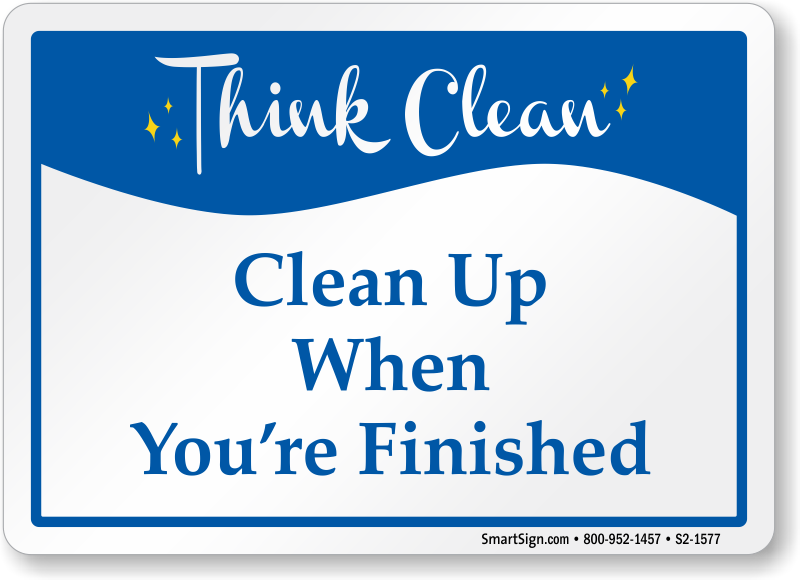 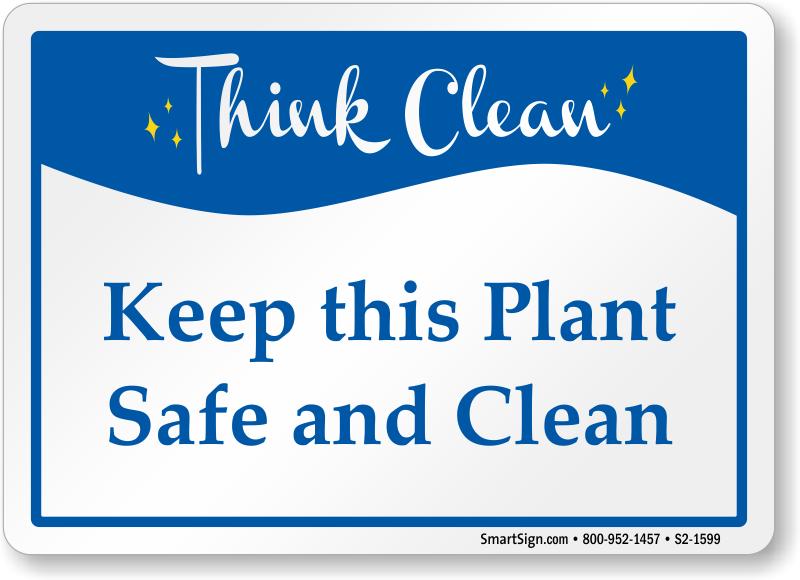 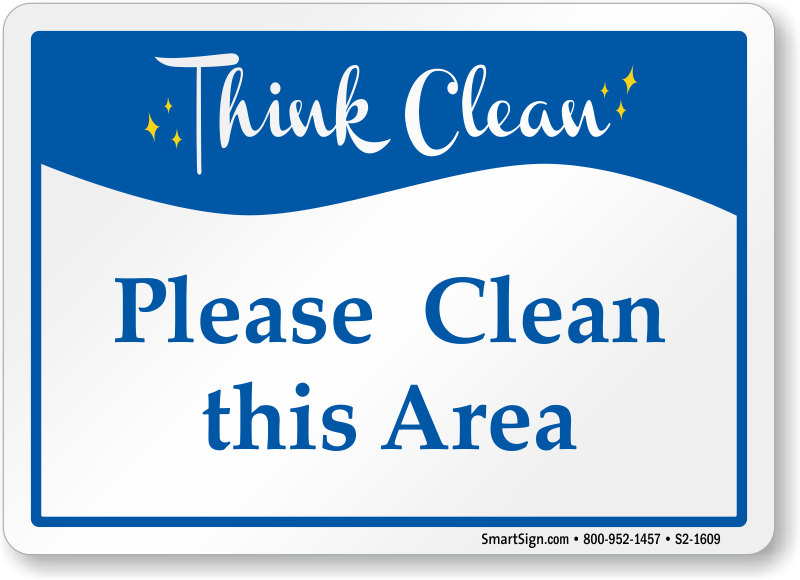 Promote cleanliness among employees and other occupants with these Think Clean Signs. Reminders like these placed in different areas of your workplace or building— such as the laundry room, kitchen, cafeteria, etc.—prompt people to clean up after themselves, allowing you to minimize your housekeeping efforts. 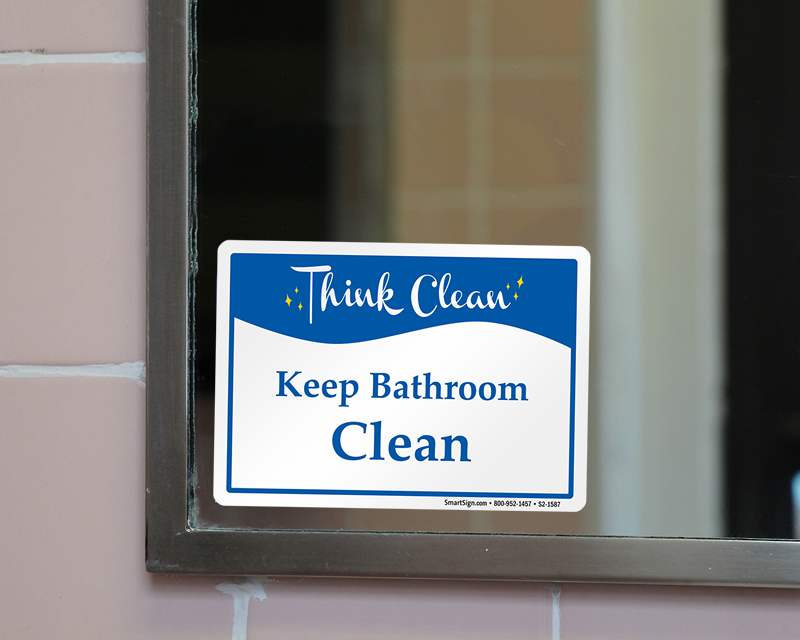 • Signs are available in tear-resistant plastic suitable for indoor and outdoor use. 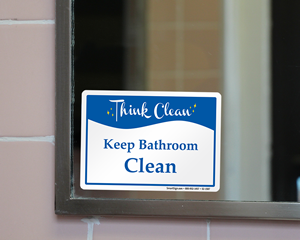 You can also choose magnetic signs for super-fast installation. 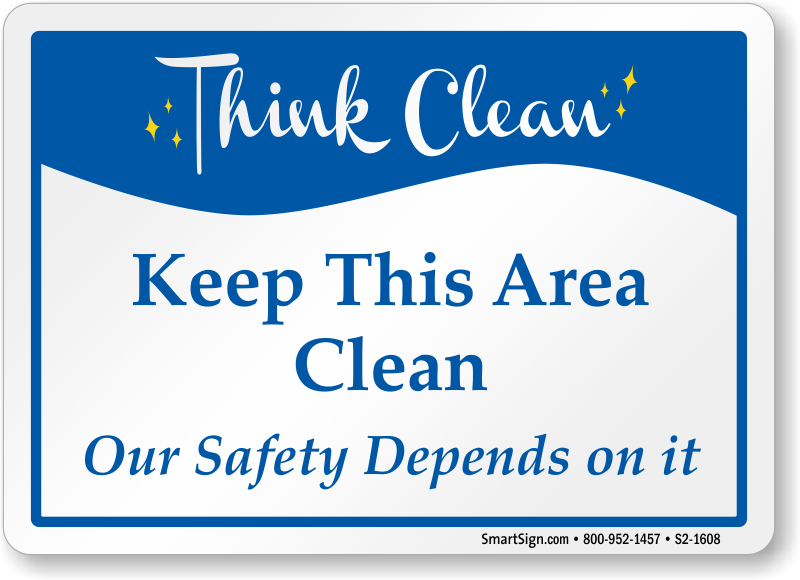 • Smooth, rounded corners offer a professional look and allow safe mounting (without scrapes and cuts). • Find a variety of Think Clean messages to focus on specific areas of your premises. 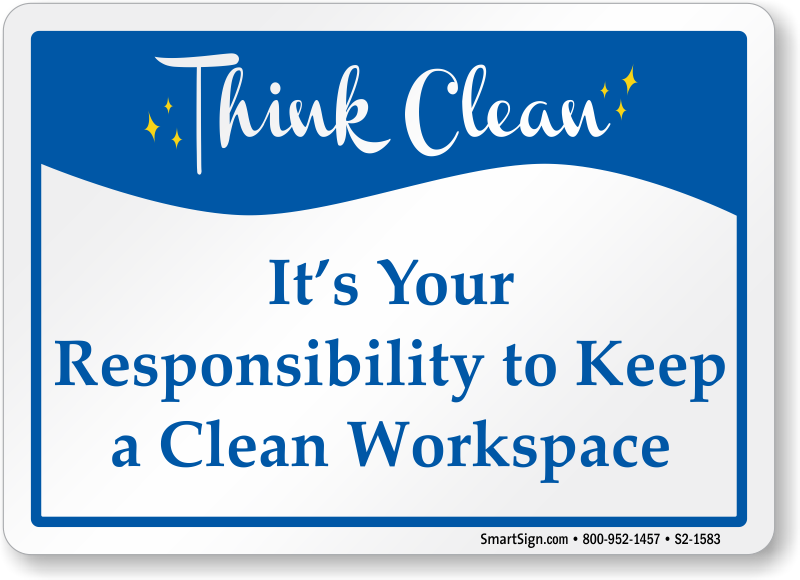 Add office Reminders to promote a safe and clean work enviornment!